If you’ve been following us on instagram for a while, you probably already know Nanda (aka @nanda_schwarz). 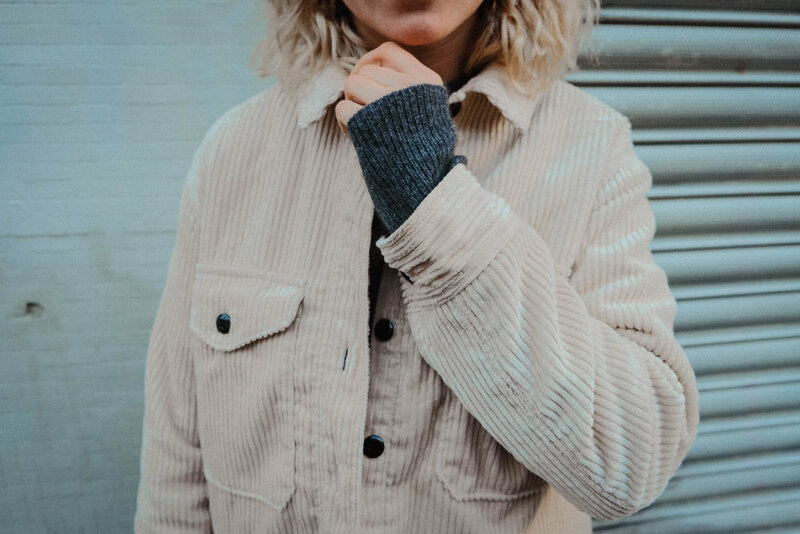 This one of a kind German girl has the coolest vintage style, and a little crush on Bellerose which makes us love her even more. 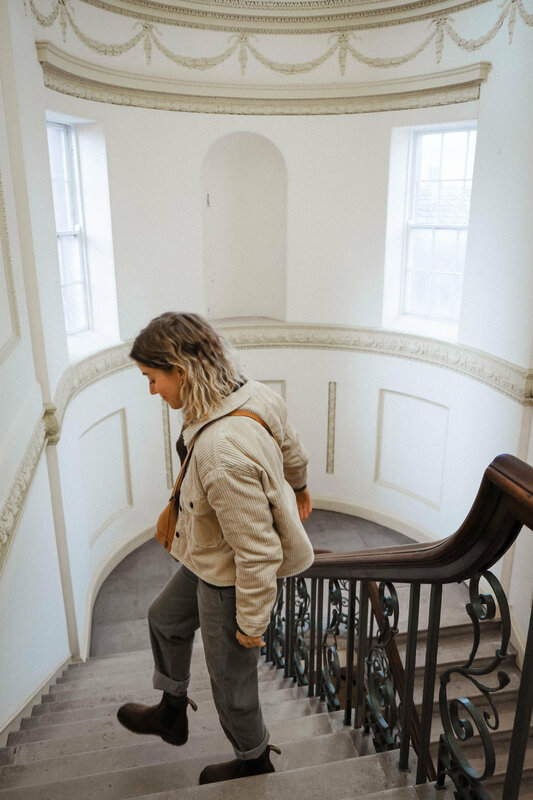 A few weeks ago she went on a trip to Dublin with her partner in crime/boyfriend Nils, and they brought us back a few tips to make the most out of your weekend getaway to the Irish Capital. Enjoy! To be fair, we spent more than 48 hours in Dublin, but at least we can give you good advices on what is worth your limited time. We’re a young couple from Germany and when we travel together we like to explore everything in a relaxed pace, no hurry and no pressure to tick off to do lists. 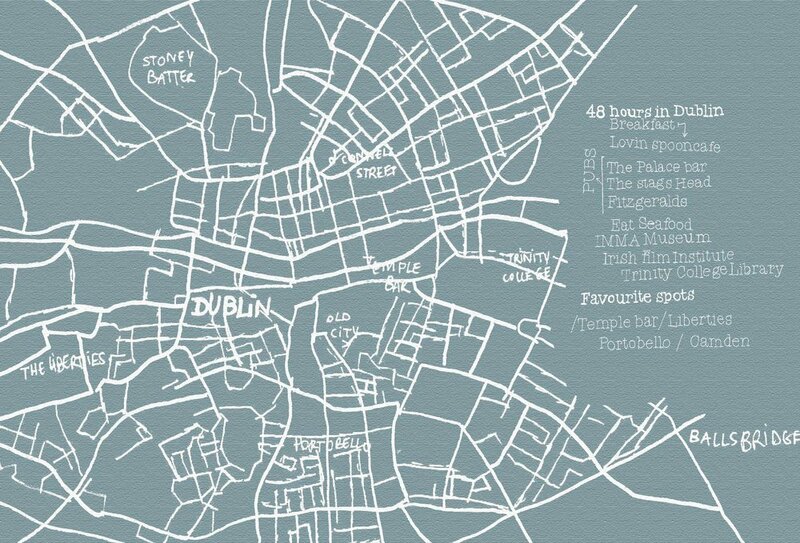 Don’t expect us to provide you with all the information about the most common places in Dublin. Instead, we’re sharing our personal favorite places, the ones we came across and really made our trip special. Our Hotel wasn’t really noteworthy, although the location was quite good, the prices are generally very high, everywhere, even for the Airbnb’s. We would recommend to book accommodation early in order to get a decent place at a good price, not too far from the city center. Already on our first day we found our favorite place for breakfast just right around the corner. A small and cozy Cafe named ‘the Lovinspoon’. 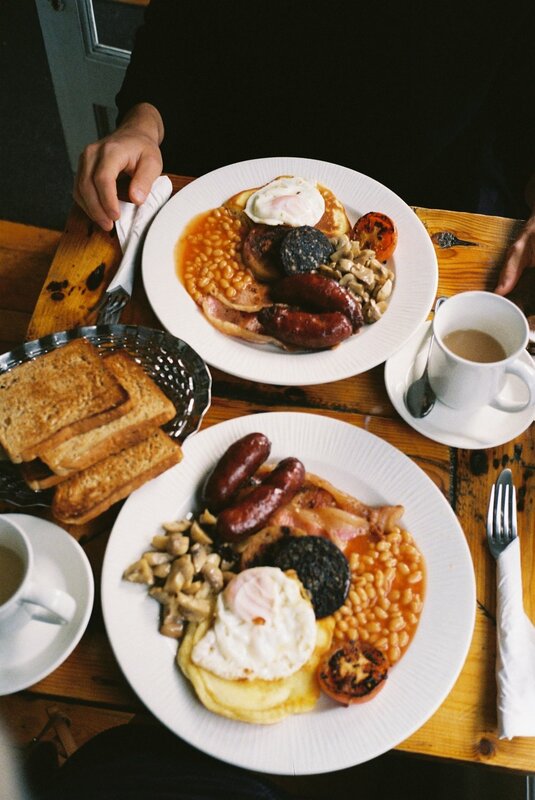 They basically offer all the common british/irish options you could ask for— from pancakes and porridge to a full traditional breakfast— for very decent prices. We had “the big one” on the first day, but let us tell you that is much more than you would eat on a daily basis. The good thing is you won’t be hungry again until the evening and have more time for other activities. Oh and don’t forget to order a small pot of tea with milk with your breakfast, we actually enjoyed our morning tea so much that we started to incorporate it into our morning routine back home. After breakfast we started wandering around to get a first impression of the City. On many corners you can see an interesting clash of old traditional buildings vs. modern architecture. It creates a contrast which actually reflects the city in a very good way : The old and historic aspects mixed to the young and creative scene. Seafood in Dublin is absolutely amazing and super fresh (try the Klaw for dinner or the Fish Shack for a snack), but it is rather expensive. For other types of food however, you can actually get away on a budget. 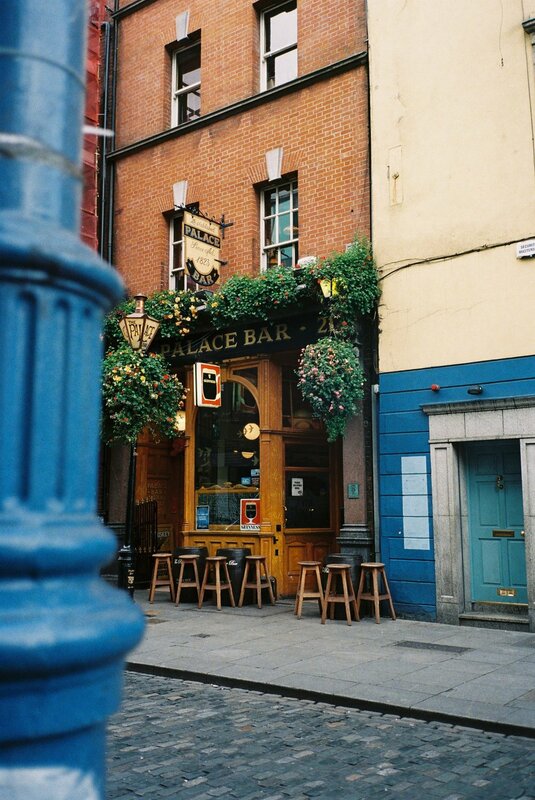 Dublin has a lot of great restaurants around Temple bar. You can get pretty much anything you want., even plenty of vegan and healthy options. If you are in the city on a weekend, you can visit the so called “Meeting House Square”, a fresh and local food market that takes place every Saturday. You can get cake, street food and— if you like them­— fresh Oysters (the best ones are already gone by 12 am so be there early). Next to the market is the Irish Film Institute, where you can watch independent movies or just have a coffee in the courtyard. 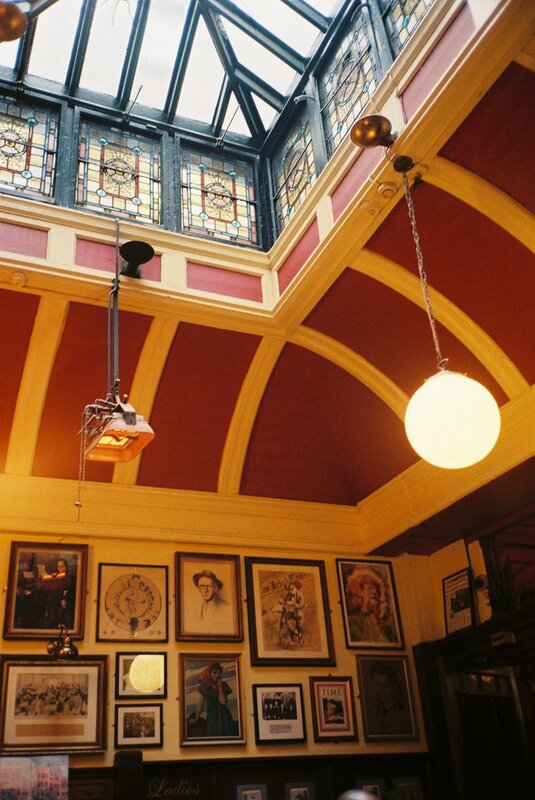 Dublin offers a lot of cultural activities which are for the most part very inexpensive. For students, a lot of them are totally free. 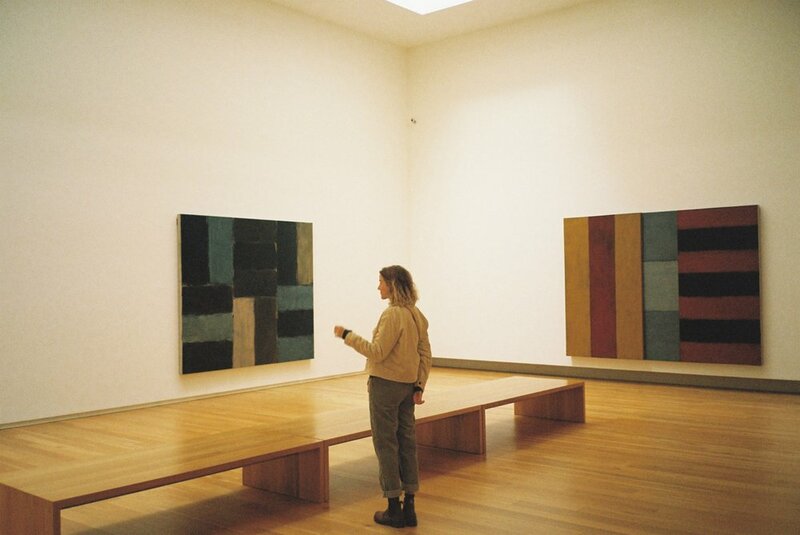 The Dublin City Gallery is really worth a visit, you can see a real life rebuilt of Francis Bacons’ studio plus a lot of different art from romantic paintings to modern installations. We also visited the IMMA museum, a little bit off the track. We actually wanted to see Kilmainham Gaol prison, but it was sold out. Make sure to book a ticket in advance if you’re planning to visit as it is very popular. The IMMA can be interesting, but it depends heavily on which exhibition is currently shown, so check out the program beforehand, to make sure you’re interested in the current exhibition. 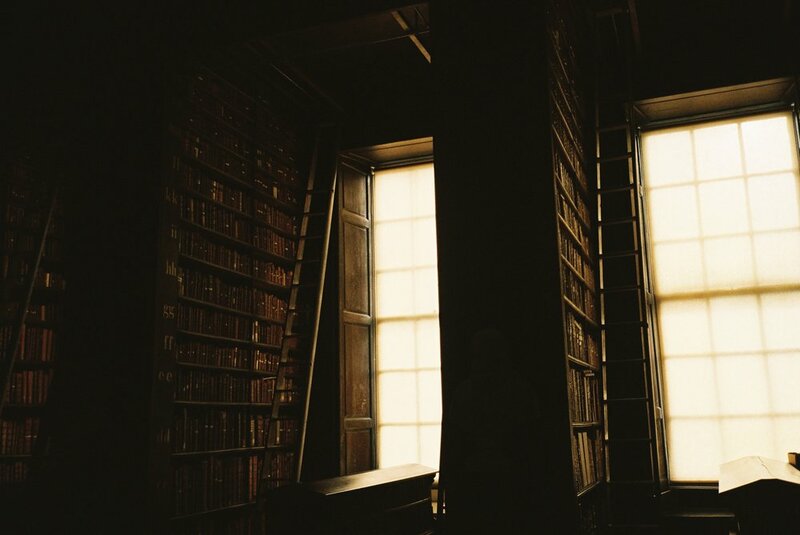 One Famous sightseeing activity is the Trinity College Library: it’s a bit expensive and touristy but takes almost no time (30 mins). We visited it on the last day, just one hour before we leaving to the airport. It’s beautiful and a good gap filler in between things. We actually got the idea to visit Dublin while looking at the tour dates and locations of one of our favorite bands. There are many concerts that take place in the city and you can easily look up what’s going on while you are there online. We were also told the old Olympia Theatre is an amazingly beautiful location. If you want to get away from city for half a day or more, you can take the 30 mins Dart to the Howth peninsula. You can hike if the weather allows it or eat fresh seafood tapas at the harbor. Unfortunately, we didn’t get much luck when visiting because the weather was too bad to hike and the beautiful cafe in the Howth Castle was already closed. It has a cute conservatory that looks like the perfect place to read a book and drink some tea. We’ve had better shopping experiences than in Dublin. When we travel, we mostly want to shop vintage or small local stores with things we can’t get anywhere else. If you are searching for bright 80s jackets and jeans you might find something in Dublin’s vintage shops, but it wasn’t for us. 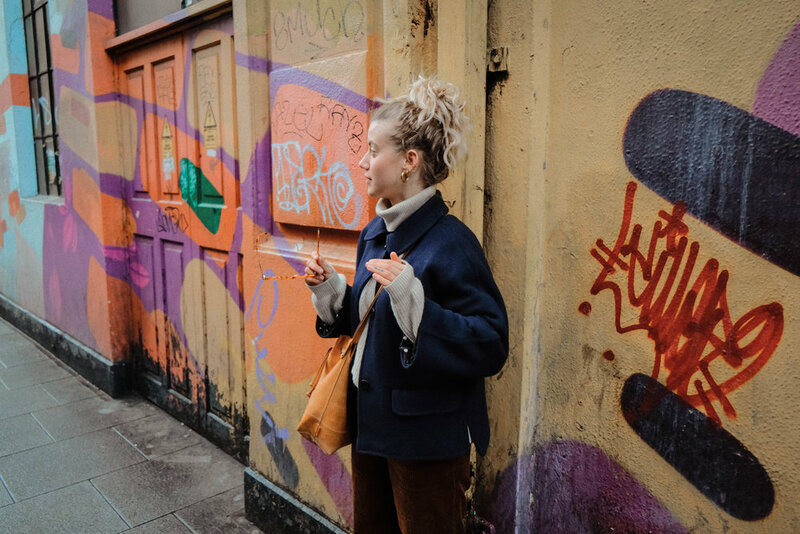 If you don’t want to go anywhere specific you can just walk around these neighborhoods and find your own favorite spots: the Liberties, Portobello, Camden and Templebar. Altogether we really liked the vibe in Dublin and definitely would love to come back sometime (still a lot of Irish beer to try!). This trip also made us so curious about the nature around and other Irish cities. Next time we will definitely rent a car to explore the wonders of the country!